While so many resorts and hotels make a huge effort to provide accommodation and entertainment for families and children, many of the most beautiful spots in the world offer privacy, seclusion, luxury, and romance that invite singles and couples for a bit of pampering away from the crowds and the noise. Whether you prefer exotic resorts in the Caribbean, historic spots in the Mediterranean, or yoga retreats in the mountains, there is a perfect hotel for you. Located on 85 acres of beautifully landscaped tropical gardens in Vieux Fort, on the south side of Saint Lucia’s Atlantic coast, Coconut Bay Beach and Spa Resort is an all-inclusive tropical paradise set right on the sandy beach. It is only a short drive from the Maria Islands Nature Reserve and about 1.8 miles (3.1 km) from Hewanorra International Airport. The resort has 250 rooms, all nicely decorated and with cozy balconies, private bathrooms, minibars, coffeemakers, and TVs. The guests enjoy a range of facilities, such as six restaurants and six bars, five pools, a chic spa, a gym, and four tennis courts. There is also beach and pool volleyball, basketball courts, and much more. There are also two distinct areas for different guests’ needs. Harmony is a secluded, adult-only private oasis with a palm-shaded pool with a pool bar, a spa, cabanas with day beds, and a pool with a Jacuzzi-style hot tub. Splash is a kids and family area with St Lucia’s biggest waterpark and the kids' club CocoLand, with a water feature and a mini zipwire. Hotel Riu Palace is a large all-inclusive beachfront hotel in Guanacaste, Costa Rica, a short drive from the famous Matapalo Beach, 3.7 miles (6 km) from the Congo Trail Canopy Tour, and about 13 miles (21 km) from The Club at Coco Bay. The modern rooms are beautifully decorated and all have free Wi-Fi, cable TVs, seating areas, ceiling fans, balconies, and minibars. Suites also have separate living areas with sofas and some have whirlpool tubs. Guests enjoy a casual restaurant, a Japanese restaurant, an Italian restaurant, a steakhouse, and a nightclub. There are also four outdoor pools, a sauna, a gym, the Renova Spa, and a Jacuzzi. One pool has a swim-up bar. There is also a fitness center and a spa. More active guests can play tennis or volleyball, go sailing, snorkeling, windsurfing, and hiking through the National Park Rincon de la Vieja. Located next to one of the world’s most beautiful beaches, Barcelo Bavaro Beach is an exceptional adults-only luxury resort on the magnificent coast of the Dominican Republic. 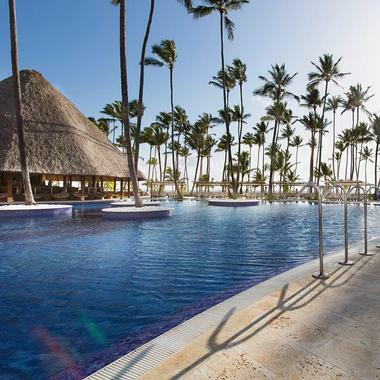 Located in popular Punta Cana and overlooking the famous Bavaro Beach, the guests of Barcelo Bavaro are invited to relax in hotel’s spacious, luxurious rooms with all modern amenities. Most of them overlook the beach. The guests enjoy three gourmet restaurants – Caribe Buffet, Chez Gourmet, and La Brisa, offering Mediterranean cuisine. There is a large new swimming pool with lounge chairs and hammocks, lush gardens, and a hot tub. There are plenty of activities for the guests – from hiking and sightseeing to diving and snorkeling. BodyHoliday is an all-inclusive luxury resort, the ultimate getaway for body and mind on the beautiful Caribbean coast of Saint Lucia. The resort is located in a hidden cove fringed by a white sandy beach and surrounded by a lush rainforest and manicured gardens. BodyHoliday is considered one of the world’s finest destinations for those who are looking for an escape from everyday life, an idyllic spot where the guests can choose to be as active or as relaxed as they wish. The resort’s world-class spa offers an indulgent array of classic body treatments as well as state-of-the-art therapies. Five-star restaurants feature locally sourced foods and produce from the resort’s organic garden. Guests can enjoy yoga sessions, fitness classes, scuba diving, tennis, sailing, golf, biking along the coast, hiking the mountains, or rappelling down a river gorge. Reflecting all the magic of Bali in its traditional architecture and located only steps from famous Kuta Beach, Bounty Hotel is a perfect escape from the everyday into the romance of Bali. 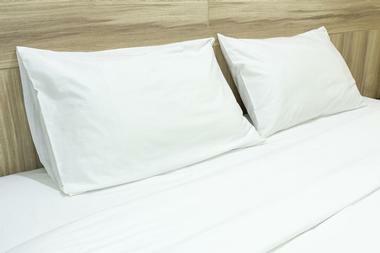 Everything you need is just around the corner, from the lively nightlife of Jalan Legian to the famous Beachwalk Mall. Rooms have a private balcony or terrace. Modern and comfortable, they are decorated with tasteful touches of Balinese art, soothing and romantic. All rooms have free Wi-Fi, minibars, cable TVs, and luxury bathrooms. Some rooms have safes and coffeemakers and split-level rooms also have separate living areas. 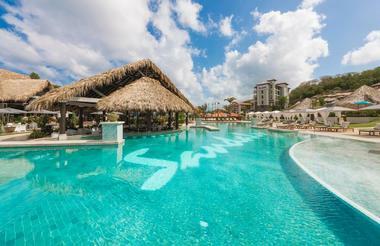 Guests are invited to weekly party nights and enjoy a 24-hour restaurant, a spa, and two pools with swim-up bars. There is a game room with a billiard table, and guests can enjoy a body massage if requested. 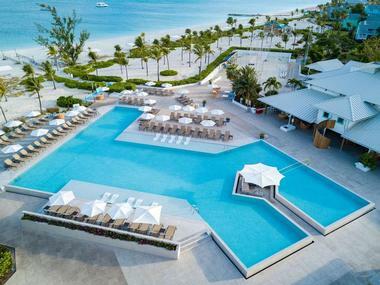 An all-inclusive romantic heaven set on a magnificent sandy beach overlooking Nassau’s Delaport Bay, Breezes Bahamas is a polished luxury adults-only resort a short drive from the Ardastra Gardens mini zoo and about 6 miles (10 km) from Lynden Pindling International Airport. 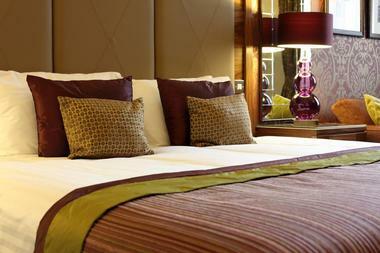 The modern, bright, sophisticated rooms have mahogany furnishings, marble bathrooms, free Wi-Fi, and flat-screen TVs. Some rooms also have furnished patios overlooking the ocean and mini-fridges. Guests enjoy five distinct restaurants, four bars, a nightclub, a piano bar, three pools with a swim-up bar, three tennis courts, a hot tub, a gym, and a spa. All sorts of watersports are available for those who are looking for some active recreation. Located on its own peninsula and surrounded by palms, Club Med Buccaneer’s Creek is a 289-room all-inclusive luxury seaside resort in Sainte Anne on the island of Martinique in the French West Indies. The beautifully decorated upscale rooms and charming private bungalows overlook the ocean or the garden and have balconies, free Wi-Fi, coffeemakers and flat-screen TVs. There is a fun beach bar for sunset drinks and a gourmet restaurant that serves Asian/West Indian fusion food. Guests also enjoy an outdoor swimming pool, a spa, a gym, and a business center. Scuba diving and tennis lessons are available upon request. The resort is located about 5 miles (8 km) from the Savane des Pétrifications park and less than 9 miles (14 km) from Pointe Borgnèse Beach. Club Med Turkoise Village is an adults-only, all-inclusive casual resort located right on the white sand of Grace Bay on Providenciales Island. The island is part of the Turks and Caicos archipelago and is located south of the Bahamas. The 69-acre property is nicely landscaped and shaded with stately palms. It is located only a short walk from Casablanca Casino and about 8.6 miles (14 km) from Providenciales International Airport. The rooms are unpretentious, comfortable, and colorful and all have TVs and coffeemakers. Some also have minibars. 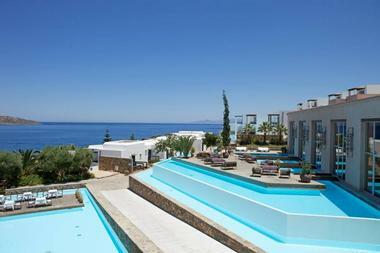 All guests enjoy three restaurants and two bars, a gym, a spa, and an outdoor swimming pool. Tennis and horseback riding are available upon request. Guests can also take advantage of the blue Caribbean waters and enjoy snorkeling, fishing, and much more. 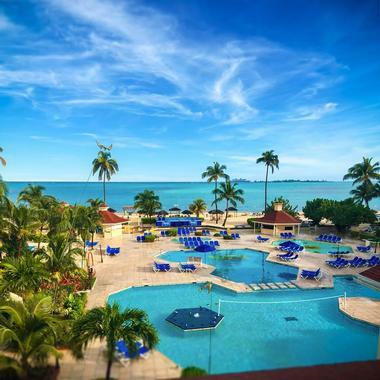 Located in Guánica, Puerto Rico, on a palm-fringed beach on the Atlantic coast, Copamarina Beach Resort & Spa is a refined resort not far from the nature reserve Bosque Seco de Guanica and a short walk from the ferry terminal. 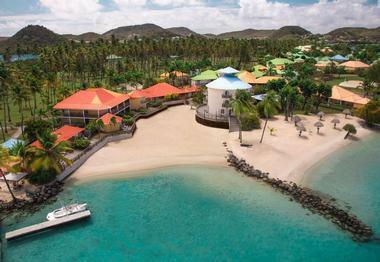 The resort is spread on a 20-acre tropical garden and a half-mile-long sandy Caribbean beach. Luxury rooms have seating areas, work desks, cable TV, refrigerators, coffeemakers, and free Wi-Fi, and some have balconies with ocean views. 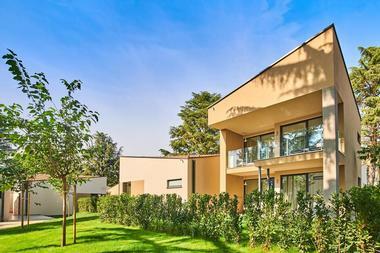 The private three-bedroom villas have fully equipped kitchens and wraparound balconies. The guests enjoy two outdoor pools, an-onsite spa, two restaurants with bars, two outdoor pools and two kids' pools, a spa, two tennis courts, and a gym. The warm tropical waters are perfect for a range of watersports. Guests can also request massages and other body treatments. Gansevoort Turks + Caicos is a modern luxury hotel in Provinciales, Turks and Caicos, overlooking Grace Bay and a golden sandy beach. The hotel’s sleek modern decor seamlessly blends into the lush tropical garden that surrounds it. The rooms are opulent and beautifully decorated, bright and airy, and have sitting areas, flat-screen TVs, free Wi-Fi, iPod docks, and DVD players. Studios have kitchenettes and balconies, while one to three-bedroom apartments have fully equipped kitchens and some have hot tubs and wraparound terraces. Guests enjoy an infinity pool, a spa, a fitness center, and a complimentary breakfast buffet. There is also a romantic poolside restaurant and a beachfront restaurant, perfect for sunset cocktails and fresh seafood. For those who enjoy watersports, there are kayaks and snorkeling equipment. Set in Varadero, Cuba, Be Live Adults Only Los Cactus is located right on the wide sandy Varadero Beach, splashed with the clear blue waters of the Caribbean. The modern hotel is surrounded by 27 acres of lush gardens and is designed to provide a romantic oasis for adults only. The all-inclusive hotel has 270 modern, beautifully decorated rooms in 11 individual buildings. All rooms have balconies overlooking the ocean and gardens, free Wi-Fi, TVs, and private bathrooms. Many rooms have separate living areas. Guests enjoy an outdoor swimming pool, a tennis court, the Piano Bar and Buffet, a restaurant and grill, a disco club, and a hot tub. A range of watersports are available in the warm tropical waters, such as snorkeling, diving, and canoeing. Port Adriano is a luxury five-star adults-only hotel in Mallorca. 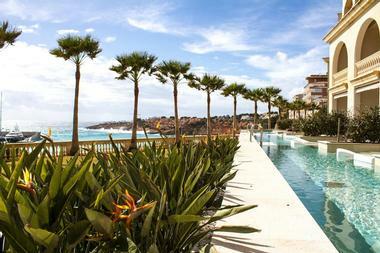 It is located on a cliff overlooking a small beach and one of the Mediterranean’s most exclusive marinas. 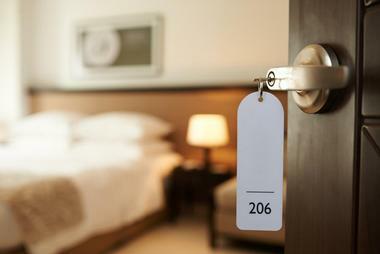 The refined sophisticated rooms have free Wi-Fi, flat-screen TVs, and balconies overlooking the sea. Some rooms have Nespresso machines, private garden access, and/or private hot tubs. Suites have iPod docks and sitting areas. Guests enjoy a panoramic terrace with a swimming pool, a health spa, a sauna, a fitness room, a Turkish bath, indoor and outdoor pools, an upscale international restaurant, and a romantic outdoor bistro with a bar and the views of the marina. There is a free shuttle to the nearby Santa Ponsa golf course. 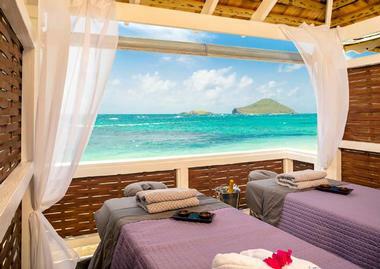 Sandals Grenada Resort and Spa is an all-inclusive five-star luxury resort in St. George, Grenada, on the edge of beautiful Pink Gin Beach and the warm Caribbean waters. The resort is located about 4.3 miles (7 km) from the city center and 5 miles (8 km) from historic St. Andrew's Presbyterian Church. Surrounded by lush tropical gardens, the resort is designed to provide the ultimate romantic oasis to couples. The luxurious spacious rooms have opulent private bathrooms, in-room safes, free Wi-Fi, cable TV, a mini-refrigerator, and minibars. Many rooms have balconies and some have private patios with soaking tubs. Suites have sitting areas, and some have a second level and private infinity pool. The guests enjoy private access to the beautiful sandy beach and a range of swimming pools – some with a poolside bar and some snuggled in a secluded part of the garden. The hotel has a spa, a sauna, a steam bath and health club, ten restaurants, and six bars. Active guests can go canoeing, surfing, mountain biking, and scuba diving. Melia Istrian Villas is a luxury beachfront resort in a small town of Umag on the Croatian Adriatic coast, about 1.8 miles (3 km) from the Umag City Museum and a short drive from Golf Adriatic. The beautiful appointed villas located in the meticulously landscaped garden provide a perfect romantic oasis for couples. They have one to three bedrooms, private terraces, dining areas, comfortable living rooms, and breathtaking views of the sea. They all have flat-screen TVs, luxurious private bathrooms, and free Wi-Fi. 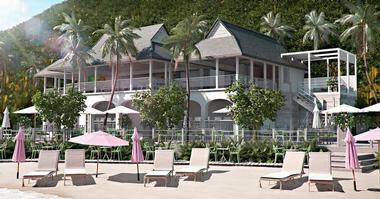 The upgraded villas also have direct beach access, private hot tubs, and hammocks. 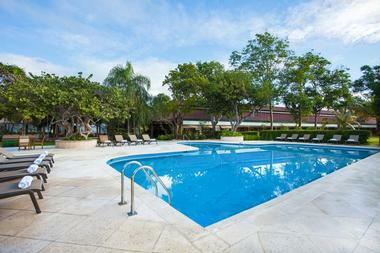 Guests enjoy outdoor and indoor pools, tennis courts, a gym, four restaurants, several bars, and cafés. 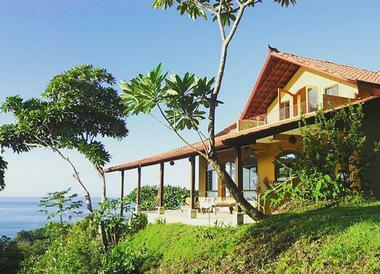 Nayara Springs Resort is an exclusive upscale boutique hotel in Arenal, Costa Rica. Located on top of a mountain, the resort consists of 16 private luxury villas surrounded by a lush rainforest full of exotic foliage and colorful birds. A short distance from Parque Nacional Volcan Arenal, the resort’s wood and timber villas have spectacular views of the Arenal Volcano. The rustic yet lavishly appointed rooms have four-poster beds, comfortably furnished terraces, free Wi-Fi, flat-screen TVs, and whirlpool tubs fed by mineral springs. 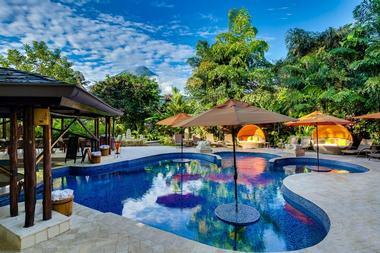 Some villas have living rooms and private plunge pools. Guests enjoy a complimentary breakfast, four restaurants, two bars, a gym, an outdoor pool, and an open-air spa. Occidental Grand Papagayo is an upscale adults-only, all-inclusive resort located on Costa Rica’s tropical Pacific Coast, overlooking Culebra Bay and its spectacular cliffs. The resort is only a short drive from Liberia International Airport and an easy trip to Palo Verde National Park. Sophisticated rooms have traditional Costa Rican hardwood furnishings, free Wi-Fi, minibars, flat-screen TVs, and terraces or balconies. Some rooms have beautiful views of the bay. Suites have separate living areas and whirlpool tubs. Guests enjoy access to a private beach, two outdoor freeform swimming pools, and a full service spa. The resort has three international restaurants. Active guests can enjoy fantastic scuba diving, kayaking, and biking. Papagayo Golf & Country Club is only 10.5 miles (17 km) away. 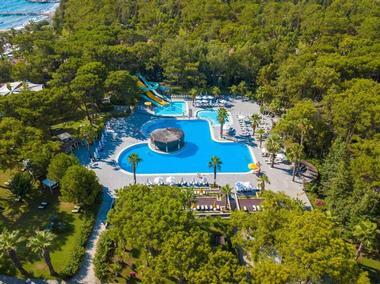 Paloma Pasha Resort is an upscale all-inclusive hotel located in Izmir, Turkey, across the street from the Aegean Sea coast, less than 1.2 miles (2 km) from Sevgi Parki and 10 miles (16 km) from an ancient Greek temple at Claros. The elegant, modern rooms have contemporary furniture, lavish marble bathrooms, flat-screen TVs, free Wi-Fi, a minibar, a coffeemaker, and balconies overlooking the sea. Some rooms have hot tubs and terraces. Guests enjoy six diverse restaurant6, including one Mexican, a beachside buffet, four bars, and a disco club. 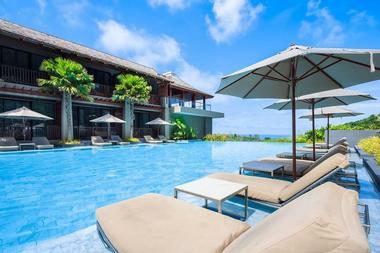 The hotel also offers two outdoor pools, a private beach access, a gym, and a full-service spa. 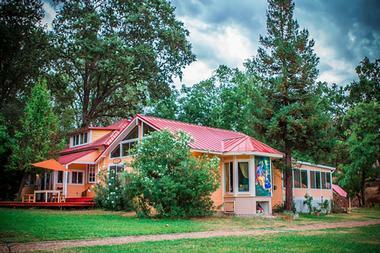 Located in the heart of the scenic foothills of the Sierra Nevada, Sivananda Ashram Yoga Farm is a serene sanctuary about 120 miles outside San Francisco, California. Established in 1971, the farm offers a peaceful place for people from all over the world to come together to meditate, practice yoga, and explore their true nature. The ashram is surrounded by beautifully landscaped grounds with oak woodlands and verdant meadows. Guests are accommodated in private cabins, rustic yet very comfortable and with all modern amenities, snuggled in the lush natural environment. The accommodation includes daily satsangs, hatha yoga classes, organic vegetarian meals, and access to all ashram facilities, including a swimming pond and many hiking trails. Temptation Cancun Resort is known as a “playground for adults”, located in Cancun, Mexico. This all-inclusive, adults-only beachfront resort is located about 12 miles (20 km) from Cancún International Airport, a short walk from Torre Escenica Xcaret, and 7.4 miles (12 km) from the Cancún Underwater Museum. The luxurious rooms have flat-screen TVs, free Wi-Fi, patios or balconies, and coffeemakers. Some also have Jacuzzi tubs and sea views. Suites have separate living rooms and butler service. Guests enjoy seven restaurants, five bars, a café, two outdoor pools, a gym, a spa, daily entertainment, and endless activities. Some areas of the resort are clothes-optional. 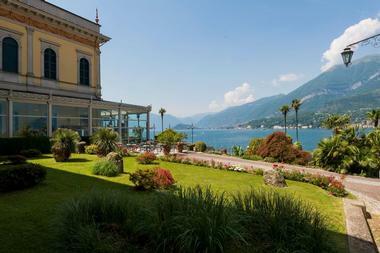 Located on the scenic Bellagio promontory near Lake Como, Italy, the Grand Hotel Villa Serbelloni has been treating sophisticated guests since 1850. The magnificent hotel is decorated in magnificent frescoed ceilings, is surrounded by intricate Italian-style gardens, and is located about 1.8 miles (3 km) from the Villa Carlotta gardens and 5 miles (8 km) from the Villa of Balbianello. The elegant rooms are furnished with traditional furniture and antique pieces and have all modern amenities such as free Wi-Fi, flat-screen TVs, private bathrooms, and air-conditioning. Some rooms have private balconies with spectacular lake views. Guests can enjoy their complimentary breakfast in the open restaurant at the poolside or in the gardens. There's also a diving platform on the lake, two swimming pools, a spa, and a beauty salon. Overlooking the Costa Rican Gulf of Nicoya, perched on a hill in the heart of a jungle is Anamaya Resort, a colorful and luxurious boutique resort near the small town of Montezuma. Surrounded by so much natural beauty and only a short drive from the beach, Anamaya offers a serene sanctuary for those who want to escape the busy everyday life and rejuvenate and restore in luxury. Anamaya’s rooms and suites are comfortable and luxurious, with shared bathrooms and magnificent views of the jungle or the ocean. Some have balconies with hammocks. Private cabins and larger houses have all the modern amenities and some have outdoor bathrooms, indoor tubs, or loft bedrooms. Guests enjoy a range of amenities such as an outdoor saltwater pool, organic restaurants, yoga retreats and classes, and surfing and diving lessons. Only 1.2 miles (2 km) from Patong Beach and a short drive from the Wat Chalong Buddhist temple, Avista Hideaway Resort and Spa overlooks the azure Andaman Sea and is surrounded by verdant gardens. 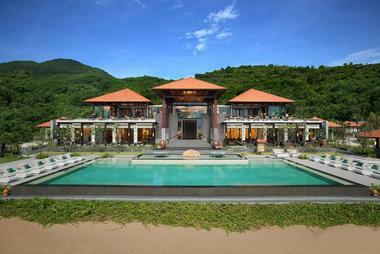 This luxury Thai resort has modern rooms beautifully designed and decorated with Thai arts and antiques. Rooms have private balconies, luxury private bathrooms, free Wi-Fi, desks, flat-screen TVs, mini-fridges, bars, and coffeemakers. Suites have private gardens with a Jacuzzi, outdoor living space, kitchen, and/or pool. Guests enjoy easy access to the beach, three swimming pools with bars, a gym, two restaurants, a rooftop bar, a spa, and a kids’ club. Banyan Tree Resorts are dreamy romantic spots perfect for weddings or unforgettable honeymoons, regardless of the part of the world they are located in. In the Maldives, the resort overlooks an incredible fine sandy beach, while in Thailand, luxury is combined with exotic architecture and tropical greenery. Each destination makes most of the location’s beauty, offering ultimate luxury, privacy, and entertainment. Couples can enjoy a candle-lit dinner on a beach, a picnic under the stars, or cocktails overlooking the brightly lit city skyline. During the day, they are invited to take part in endless activities, such as sightseeing, diving, hiking, or yoga, and after a day of activities, they are invited to relax and be pampered at the Banyan Tree Spa before enjoying a meal in one of the resort’s gourmet restaurants. Choose your destination and let the experienced folks at the Banyan Tree do the rest. You can be sure that romance will be in the air. Tigotan Lovers & Friends is a four-star hotel located in the bustling Playa de las Americas in Santa Cruz de Tenerife, Spain. The all-inclusive luxury hotel is located a short walk from the Central Park of Arona and Las Vistas Beach. The bright contemporary rooms and suites are beautifully decorated and have free Wi-Fi, flat-screen TVs, mini-fridges, and balconies. Some rooms have Nespresso machines or whirlpool tubs. The guests enjoy a restaurant with outdoor patio dining, a pool bar, a piano bar in the hotel lobby, three swimming pools, table tennis, pool tables, and a multi-sports court. The hotel is surrounded by a lovely green garden where guests can relax, or they can rent a bike or go to the nearby golf course. Located on a sandy beach on Mirabello Bay, near Elounda in Greece, Tui Sensimar Elounda Village Resort and Spa is a luxury, adult-only hotel about 9 miles (15 km) from Lake Voulismeni and 10 miles (16 km) from the Agios Nikolaos Archaeological Museum. The elegant, luxurious rooms and bungalows have furnished balconies or terraces, marble bathrooms, free Wi-Fi, minibars, and flat-screen TVs. Some rooms have beautiful sea views, and some bungalows have their own private pools. 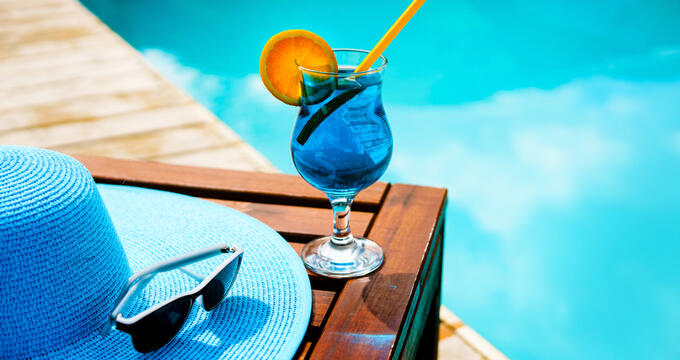 The guests enjoy five outdoor pools, a spa, a tennis court, an upscale restaurant, an American buffet breakfast, and lunch at the Mirabello Restaurant or the Greek Taverna. 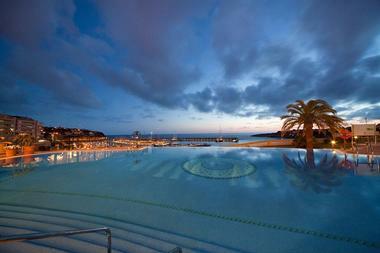 The resort has a gym, a sauna, and a spa with the heated swimming pool and six treatment rooms.